Anderson Silva may be a legend of the sport but he's still going to walk into his fight against rising star Israel Adesanya as a massive underdog. 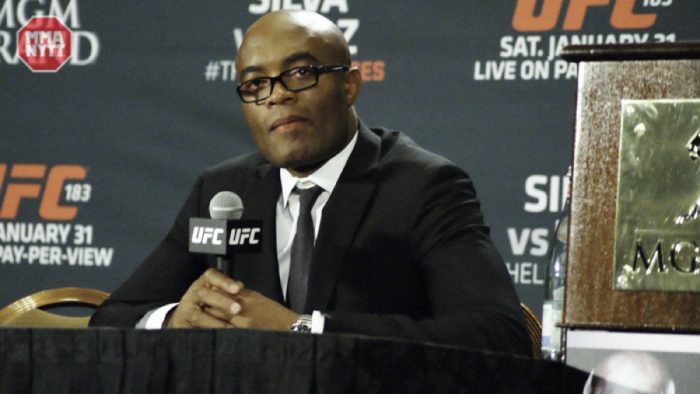 Anderson Silva may be a legend of the sport but he’s still going to walk into his fight against rising star Israel Adesanya as a massive underdog. The odds for the highly anticipated middleweight showdown were just released by Ohmbet with Adesanya as the overwhelming favorite in the fight. According to the odds makers at Ohmbet, Adesanya is a 1.18/-556 favorite in the fight with the comeback odds on Silva at 5.00/+400 underdog. Silva has only been a bigger underdog in one previous fight in his UFC career and that’s when he stepped up on 48 hours notice to face light heavyweight champion Daniel Cormier at UFC 200. Prior to that fight, Silva was only an underdog in one other fight in the UFC and that was his second bout in the promotion when he challenged Rich Franklin for the middleweight title. Adesanya has received a ton of praise since first arriving in the UFC with his unique striking style and confidence that he could run through the best fighters in the world at 185 pounds. The former kickboxer turned mixed martial artist is undefeated and most recently battered top 10 ranked fighter Derek Brunson to earn a first round knockout at UFC 230 in New York. Now Adesanya will attempt to add a future Hall of Famer to his resume when he takes on Silva at UFC 234 with the main event that night being a middleweight title fight between champion Robert Whittaker and challenger Kelvin Gastelum.